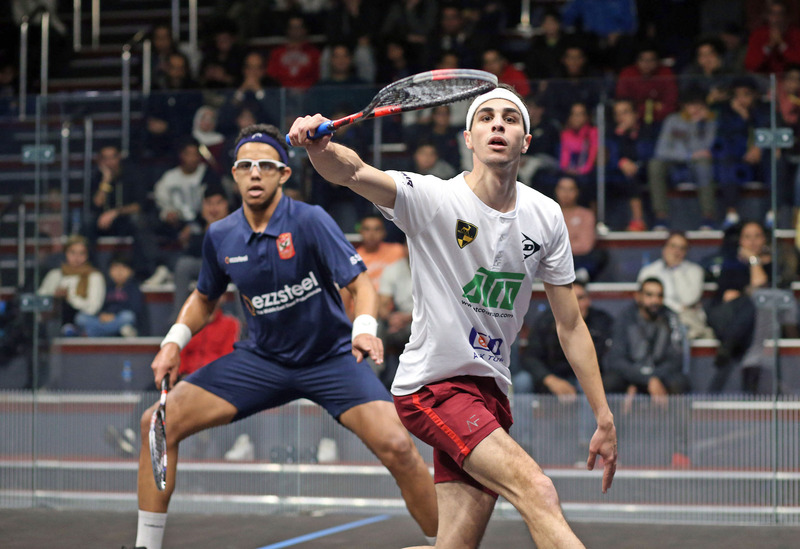 Egypt’s World No.1 Mohamed ElShorbagy and World No.2 Ali Farag both prevailed to reach the quarter-finals of the CIB Black Ball Squash Open, along with the other top seeds on day four of the PSA Platinum tournament in Cairo, Egypt. Reigning World Champion ElShorbagy was in formidable form to comfortably dispatch rising Malaysian star Eain Yow Ng in straight-games to progress. Ng has been playing some incredible squash this week which has seen him knock out the likes of experienced Australian Cameron Pilley and New Zealand’s Campbell Grayson. However, the challenge of the reigning World Champion proved to be a step too far as ElShorbagy powered to victory. He will now face compatriot and former World No.1 Karim Abdel Gawad in the last eight after he overcame Peru’s World No.11 Diego Elias by a 14-12, 3-11, 11-9, 11-7 scoreline in 63 minutes. 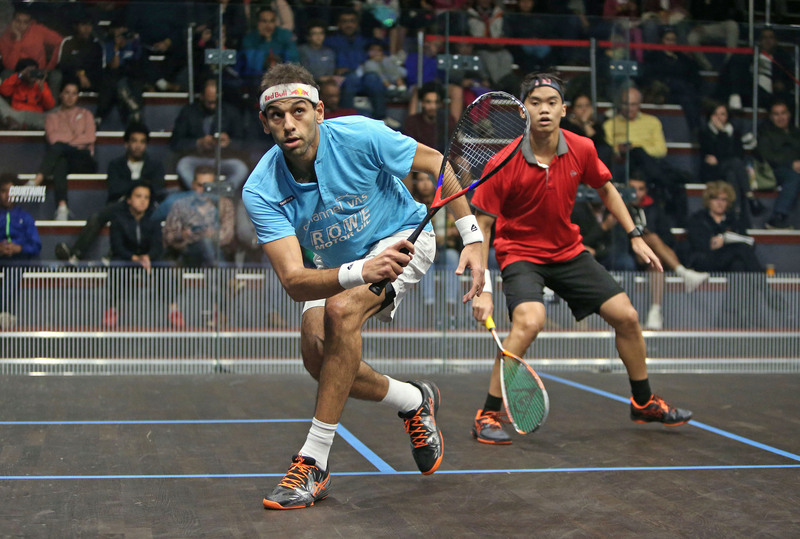 ElShorbagy was highly complimentary about the young Malaysian. He said: “He’s 20-years-old and has potential to be a World No.1 one day and a World Champion. This is the first time we play, but I told him we are going to play many times in the future. World No.2 Farag continued his impressive form that has seen him claim two titles so far this season as he overcame World Junior Champion Mostafa Asal in straight-games. The 17-year-old Asal enjoyed a huge upset in round two after he downed England’s World No.19 Declan James in a five-game thriller to set up a clash with Farag. However, the young Egyptian was unable to compete with the experience of the World No.2, who comfortably prevailed by an 11-4, 13-11, 11-3 margin. 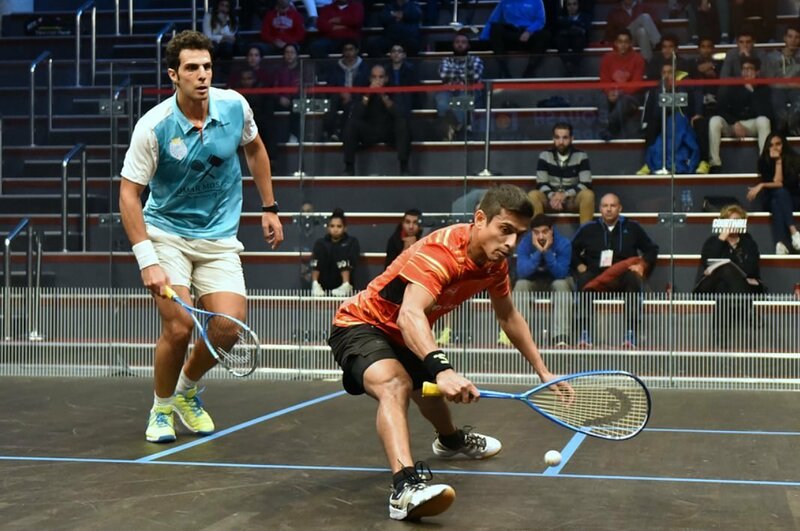 “Mostafa is such a great prospect for Egyptian squash,” said 26-year-old Farag. “He’s playing really well, and he showed in the first two matches that he can challenge all of the top players. Farag will now face India’s World No.12 Saurav Ghosal after he took out Egypt’s former World No.3 Omar Mosaad to reach his first quarter-final at a PSA Platinum event this season. Meanwhile at the Black Ball Sporting Club, Germany’s World No.3 Simon Rösner survived a scare to reach the quarter-finals. The German found himself staring down the barrel of defeat against Gregoire Marche after the Frenchman built up a two-game lead. However, Rösner’s class was able to shine through as he mounted an impressive comeback in the third to win 5-11, 9-11, 11-8, 11-5, 11-5 and secure a quarter-final berth. He will now face New Zealand’s Paul Coll for a place in the semi-finals after he comfortably dispatched England’s Chris Simpson in straight-games. “I felt a bit flat in the first two games,” said Rösner afterwards. “I was struggling but I just didn’t want to go down 3-0 and wanted to give it my best shot in the last tournament of the year. The final quarter-final fixture will see an all-Egyptian battle between World No.4 Tarek Momen and World No.10 Mohamed Abouelghar after they both enjoyed successful days in Cairo. Momen defeated Germany’s World No.17 Raphael Kandra in straight-games, while Abouelghar overcame a resilient George Parker of England to progress. The quarter-finals takes place on Friday December 7 when the likes of ElShorbagy and Farag battle it out for a place in the semi-finals. Matches from the glass court will be shown live on SQUASHTV (Rest of World) and Eurosport Player (Europe only) from 17:00 local time (UTC+2). CIB Black Ball Squash Open, Cairo, Egypt.